"Really good quality and funny"
"I already bought one case here and it's totally worth the price! " "The fabric is excellent and I love it. I ordered an L but I don't think it's a real L, because it's very small for me and I have that size. I'll keep it, but if you want to order this tshirt I suggest you to take a size bigger :) "
"Love the design and the material"
"My daughter loves it. It was one of her Christmas gifts!!" "Awesome, the material is very soft inside. I love the design. I am glad I bought before they sold out, and now I can use it at their upcoming tour. " "It took awhile to get here, maybe because of the weather and time of order. But it was exactly what I ordered." "It was the perfect gift for a fan! She actually broke into tears because she loved it so much! Money well spent on an awesome design and amazing quality!" "The design I wanted was printed on the case perfectly "
"awesome quality, second hoodie i’ve ordered from this site. thick and warm fabric. they run in american sizes so really make sure to order a size down." "It arrived sooner than expected and it is the perfect size! It is so cozy and comfy and is literally the best hoodie I've ever bought!" It fits a bit big for a medium size. "But overall I am very happy with it! Its soft so that's nice and worth the buy, well packaged and came fast despite the strike in my Country. I look forward to the future to see what else I'll buy from your shop! thank you! " "She really loved this hoodie. Came just as described. She wore it to their concert. " 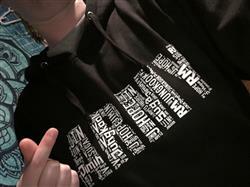 "This is my first pullover/hoodie from allkpop and I can say I will definitely be buying more! Super cozy, great print as always, and a great way to support VAV. " "I ordered three shirts, and they all fit perfect and I love them! Thank you!!!! " "Great material, bought it as a gift for my sister and she absolutely loves it! Amazing quality for a great price"
"It arrived quickly and the quality was nice~"
"It was nice. 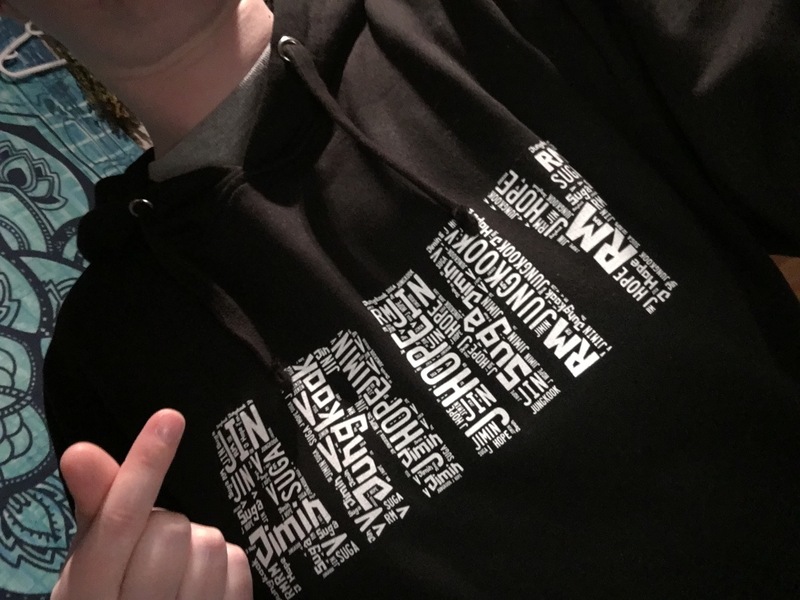 I really like the design but compared into the previous hoodies I ordered, the quality of the material was a bit lacking." "I really love it. It fits perfectly. The fabric is good quality. 💜"
"Exactly what I expected. It's super cute and it even came with a cute little button. 10/10. Good quality and it's comfortable. " "I wear a size M in most unisex items, but I wanted this one a little oversized, so I ordered a L and I’m very happy with it! It’s stylish and works great with skinny jeans! Super soft as well!" "Love it! Looks exactly like the picture and shipping was quick. Will order from here again!! " "Despite the fact that I am normally between a medium and a large, I bought an X-large just in case, and am happy to know that the next time I get something I can order in my actual size. The fabric is excellent; very soft and light. " "I through the I would bigger, but I didn't read the sizing information. This canvas is SOO cute and I know my sister will love it when she puts it up on the wall for her and her boyfriend. It also shipped pretty quickly and in exellent shape. I seriously couldn't have asked for a better present. " "Love it, looks cool. Army "
"AWSOME QUALITY AS USUAL! LOVE THIS SHIRT"
"Excellent fit with enough room to move around while still having a shape to it. Perfect length so that it can be worn over jeans or leggings. Correctly propotioned hood that lays nice while up or down. Super comfortable and adorable." "I absolutely love how soft and trendy Allkpop’s graphic T-shirts are. The unisex fit works great for my body build (broader shoulders) and still has shape while remaining comfortable. "